Detroit city council asks, graffiti: art or vandalism? - Archpaper.com Detroit city council asks, graffiti: art or vandalism? Detroit city council asks, graffiti: art or vandalism? Detroit graffiti art by Four Eyes, via 4731 Gallery and Studios. Graffiti: art or vandalism? For some there’s an absolute answer to that question, but for most there’s room for debate. In New York City, police chief Bill Bratton calls graffiti “the first sign of urban decay,” while work from Banksy (and sometimes lesser-known street artists) fetch hundreds of thousands of dollars at New York auctions. Detroit became the latest city to grapple with this question in an official capacity, with city council members previewing ordinances designed to cut back on blight that have brought a somewhat philosophical question into sharp legal focus: How do you distinguish between blight and art in a city renowned (or reviled) for both? 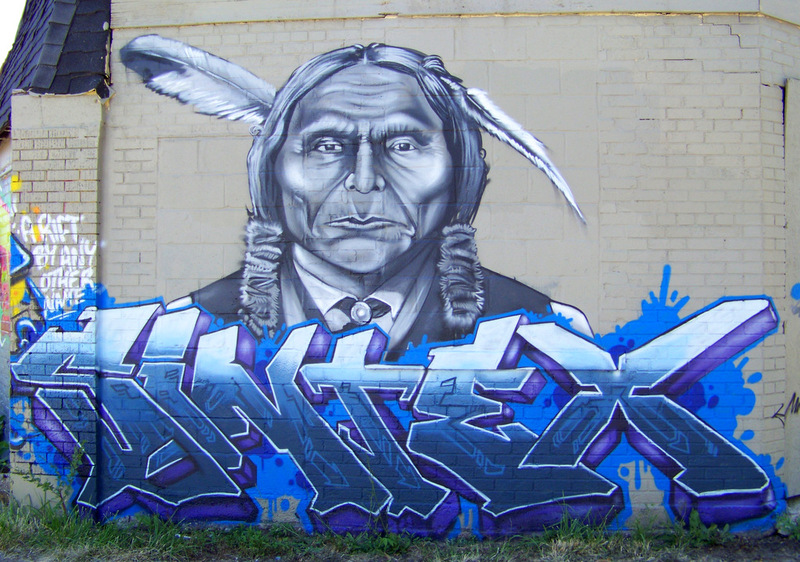 Detroit graffiti art by Sintex, via 4731 Gallery and Studios. Council member Raquel Castañeda-López told Detroit’s MetroTimes she and her colleagues are considering a variety of ordinances. One would fine building owners for not promptly removing graffiti on their property, and offer tax incentives for installing deterrents like security cameras. To exempt legitimate works of art, Castañeda-López also said they’re looking into creating a citywide registry for street art. That’s a complex task, however, especially for a cash-strapped city like Detroit. They’re trying to avoid repeating an embarrassing mistake made last year, when city officials issued more than $8,000 in fines to commissioned graffiti galleries along the city’s Grand River Creative Corridor. Collectives like the Heidelberg Project and individual artists like Brian Glass, known as Sintex, continue to battle with city officials who must enforce vandalism statutes while enjoying the creative community’s substantial tourist draw. Funding for the citywide registry could come from a “one percent for art” program that earmarks public development money for cultural programs. “We’re deciding what makes the most sense for the city,” Castañeda-López told the MetroTimes‘ Lee DeVito. The city will schedule public meetings later this month to continue the conversation. 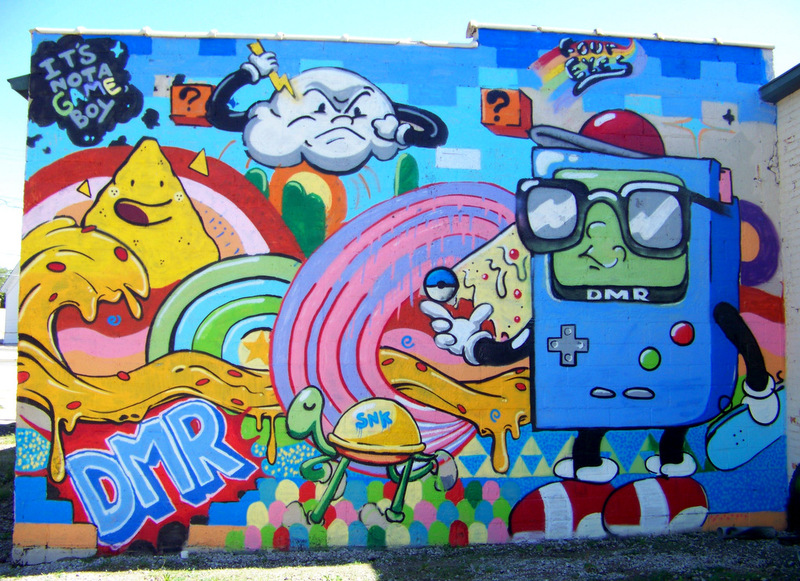 Detroit graffiti art by Yogurt, via 4731 Gallery and Studios.